There are three major treatises called Brihatrayee and three minor treatises called Laghutrayee. 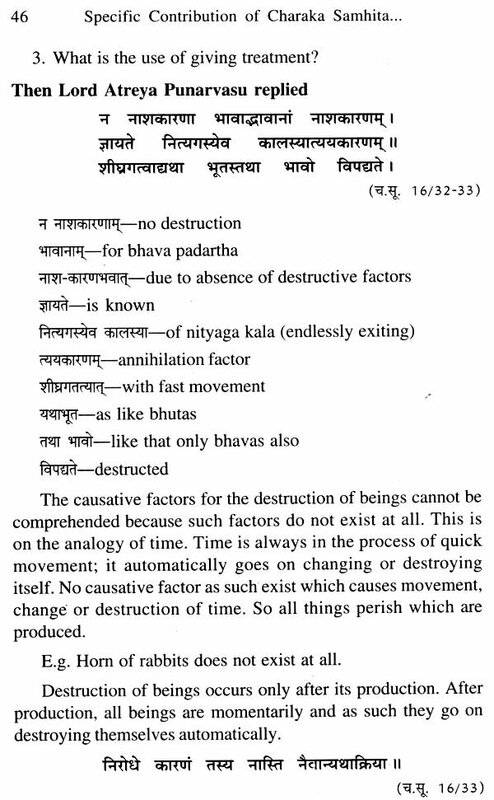 Charaka Samhita, Susruta Samhita and Ashtanga Hridaya are Called Brihatrayee. Amang Brihatrayee, Charaka Samhita specifically contributed not only on fundamentals of ayurveda but also in giving treatment. Few of the contributions of Charaka Samhita were specifically discussed in this book. TI will be very useful to the students, teachers and scholars in understanding the fundamentals of Ayurveda. Dr. Narra Vijaya Lakshmi, born in Andhra Pradesh in 1972 is a graduate in Ayurveda from Dr. N.T.R.U.H.S. Vijayawada, A.P. (1997), and a post graduate in Ayurveda Samhita from Banaras Hindu University, Varanasi (2000), completed MA (Sanskrit) from Osmania University, Hyderabad (2012), done PG diploma in Yoga from Annamalai University, Tamilanadu. Her 17 papers Published in journals. She presented 19 papers in seminars. She got Prizes and Awards during B.A.M.S. Course. She guided 10 Thesis in PG dept. 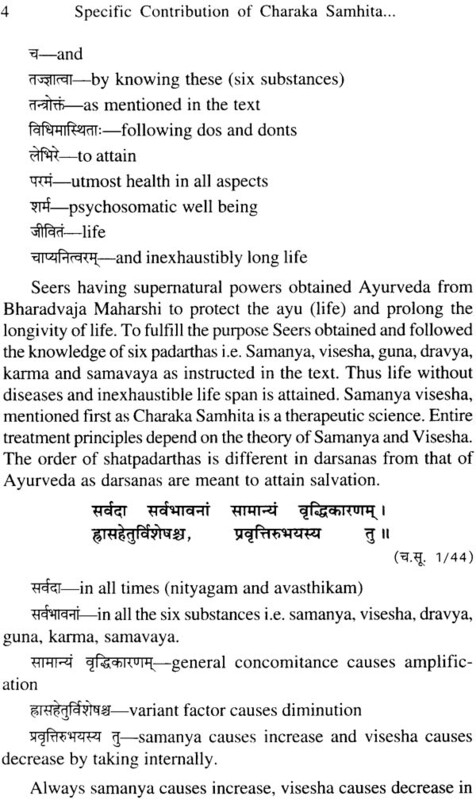 of Ayurveda Samhita. She participated as a guest speaker in ICMR project on Panchagavya at Mumbai, programme on desi cow milk accepted by UGC. 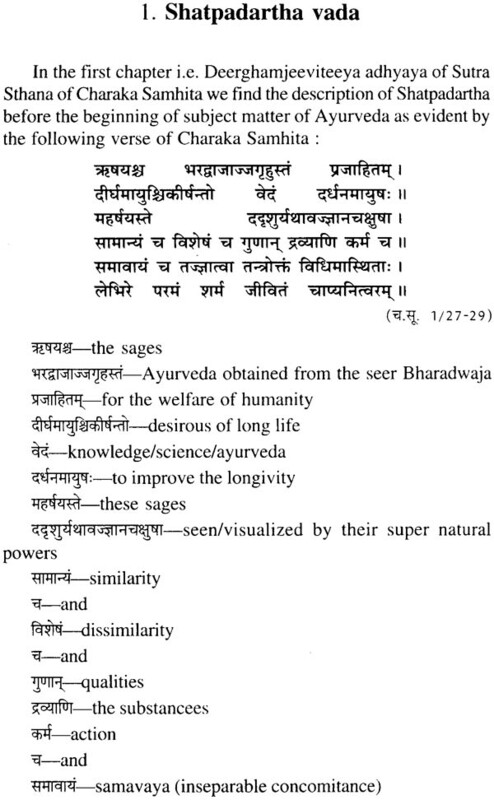 Charaka, Sushruta and Vagbhata are commonly known as the great trio (Brihat-Trayi) of Ayurvedic literature. Charaka samhita is the representative precursors of medical school. 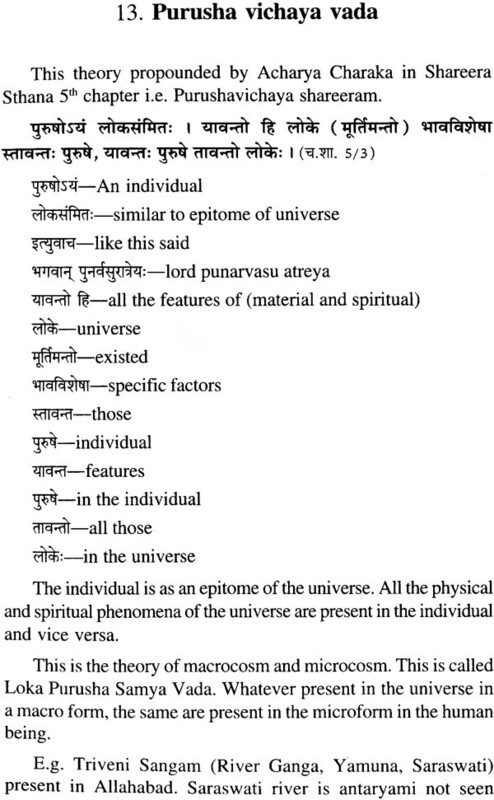 The Charaka Samhita, as available in its present form, is originally the work of Agnivesa who composed his tantra by collecting the teachings of his teacher Punarvasu Atreya. This tantra, probably small in size and content, was later improved and enlarged by Charaka on whose name it came to be known popularly as the Charaka Samhita. As it is evident that each and every treatise written over any discipline has some specificity by which that becomes more popular, useful and famous over its other parallel works of same subject. 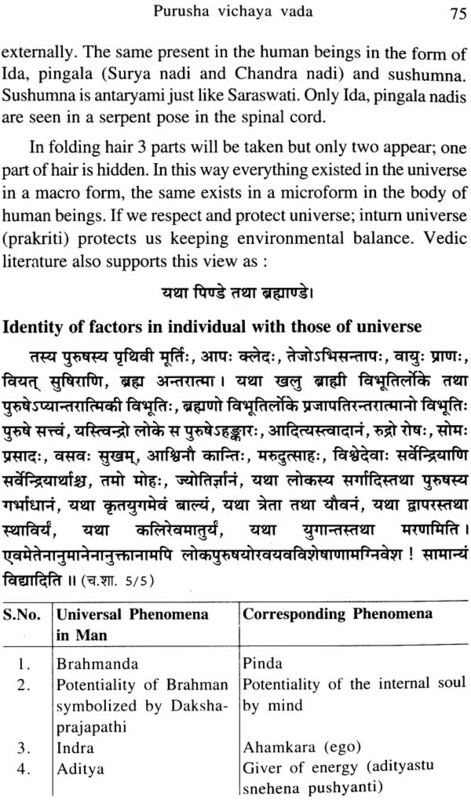 The Charaka Samhita, which is the purview of this book, has attributed worthy to be mentioned in this regard. 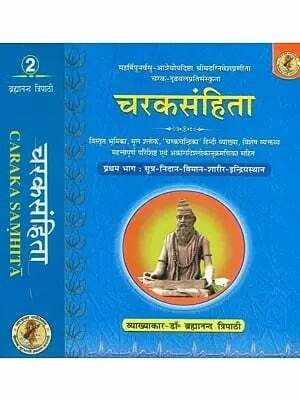 As the title of the book denotes that Charaka Samhita has presented specific contribution in regard to fundamentals of Ayurveda. It would be in the fitness of the book to deal the subject matter in the perspective noted above so that it may visualize the facts concerned to the readers and listeners. There are so many specific facts concerned to several aspects of Ayurveda are found in Charaka Samhita e.g. Aphorisms, ethical teachings, philosophical doctrines, beautifully amalgamated and mode applied for preserving health and happy life. 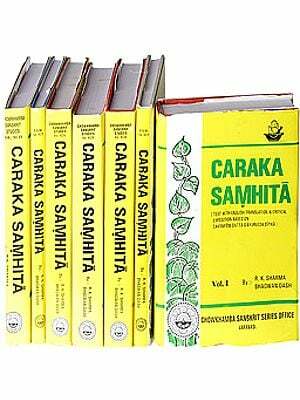 Here few of the specific contributions of Charaka Samhita are highlighted in this book to make the reader appreciative the facts regarding fundamentals of Ayurveda. Now an effort would be made to discuss about each and every above mentioned specific views presented in Charaka Samhita along with their importance and applicability for fulfilling the objectives of Ayurveda.